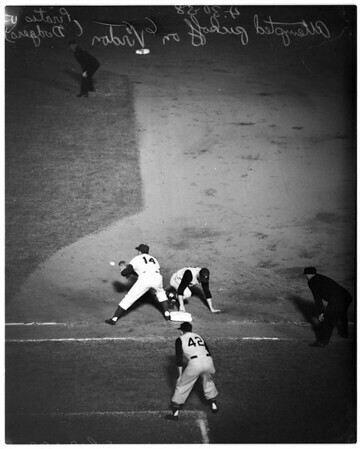 Kluszewski out at first. 8a: Double play -- Skinner hits fly to Neal, Zimmer covers second and Virdon tagged out. 9a, 10a, 11a: Beef over Umpire decision. 12a: Foiles hits double and slides into second, safe. Zimmer covered second".